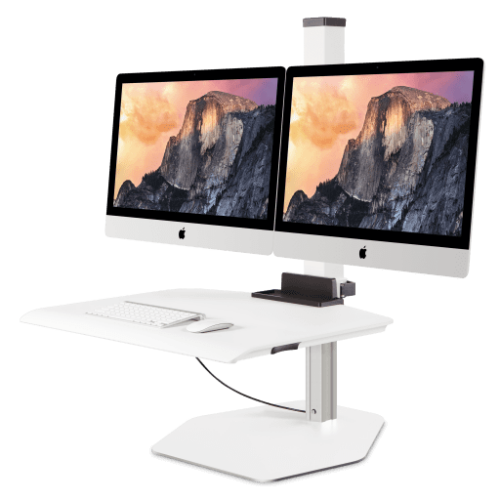 Winston-E® Sit-Stand Workstation with a dual monitor mount. Freestanding base retrofits to any desk. Provides 18″ of effortless height adjustment. 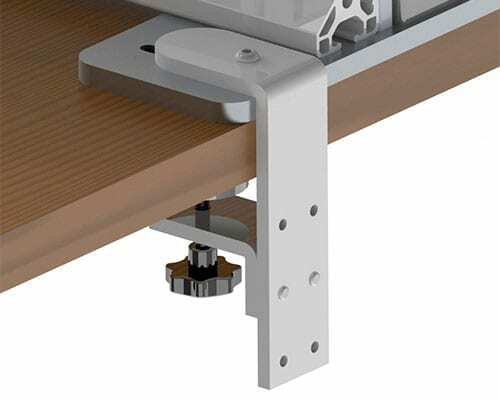 Winston-E® is now available with a compact work surface, ideal for users with smaller desk spaces who want to take advantage of a healthy sit-stand workstation. 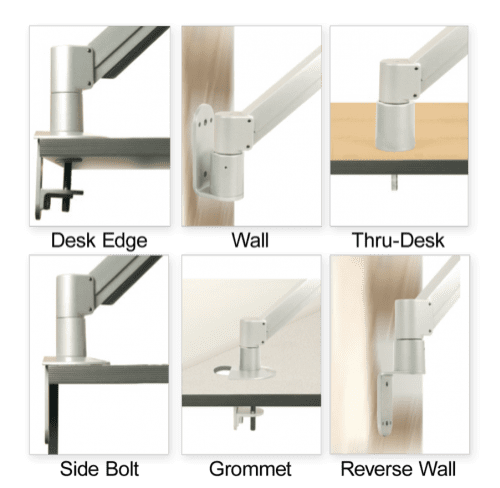 Winston-E® is a responsive powered riser that takes the sit-stand conversation to a whole new level. 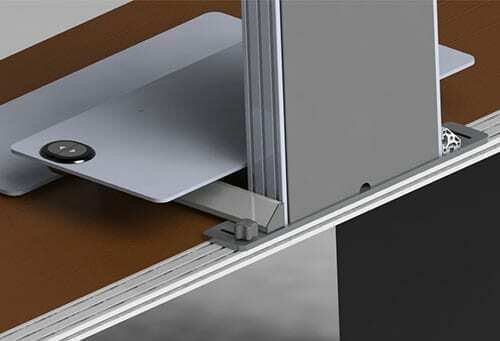 The next-generation retrofit work surface is engineered for ease and freedom of movement. Fully loaded, we've thought of every detail for Winston-E® so you're free to think about what's important to you. Winston-E® awarded Grand Prize (1st Place) in Buildings Magazine's 2016 Product Innovations Awards. Smaller work surface. 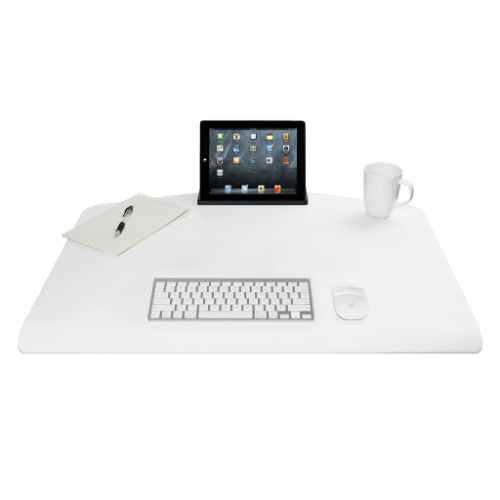 A compact work surface easily fits on smaller desks while still having space for a keyboard, mouse and storage tray. Quickly retrofit to any desk or table. 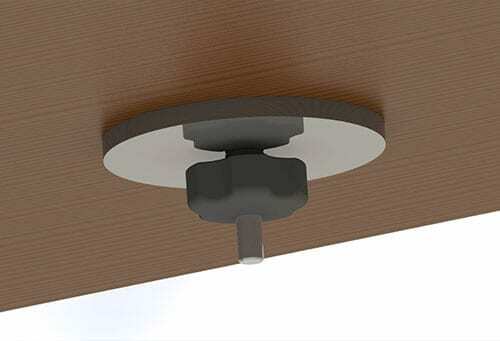 Installers can get Winston-E® from box to up and running in less than 20 minutes. No need to move or replace furniture.